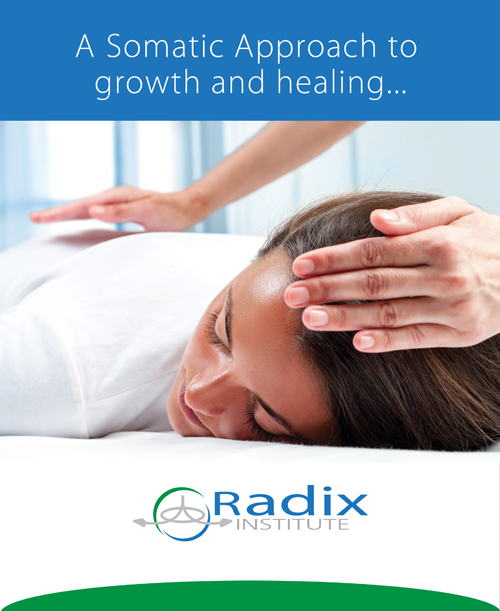 RADIX is a body-centered holistic therapy that works with the body, mind and emotions to achieve healing and to develop the capacity to engage fully with life. "Radix" is the fundamental energy or life force that moves, pulsates and finds form in each of us. Freeing the flow of radix brings aliveness, insight, self awareness, discovery, resolution and acceptance. 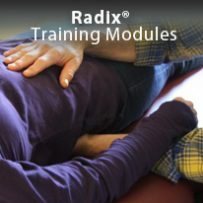 The RADIX INSTITUTE offers a well-grounded training program that is based in Dr. Wilhelm Reich’s principles of bodywork, and further enhanced by eyework developed by Dr. Charles Kelley from the Bates Method of vision improvement. 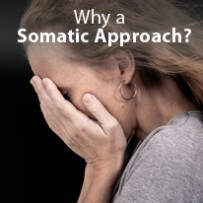 Radix Theory and Training is a relational approach to therapy, current with the sciences of Neurobiology, Attachment Theory and Human Development.